With a Name Like Smuckers, it has to be…GROSS! Class Action lawsuit cites proof that Smuckers-owned company sold pet food contaminated with euthanasia solution. The FDA is monitoring for reports of any pet illnesses associated with pentobarbital contamination in these products. Consumers can report complaints about this and other pet food products electronically through theSafety Reporting Portal or by calling their local FDA Consumer Complaint Coordinators. Potential for Contamination May Not Be Limited to the Gravy Train Line. To understand how this happened, you have to understand how pet food production is regulated in the U.S. The manufacturing of pet food does not undergo the same scrutiny as the manufacturing of human food. Government agencies that have legal oversight on the processing of pet foods include the Federal Drug Administration (FDA) under the provisions of the Federal Food Drug Control Act (FFDCA) and state agricultural bodies. The Food and Drug Administration (FDA) regulates that can of cat food, bag of dog food, or box of dog treats or snacks in your pantry. The FDA’s regulation of pet food is similar to that for other animal foods. The Federal Food, Drug, and Cosmetic Act (FFDCA) requires that all animal foods, like human foods, be safe to eat, produced under sanitary conditions, contain no harmful substances, and be truthfully labeled. In addition, canned pet foods must be processed in conformance with the low acid canned food regulations to ensure the pet food is free of viable microorganisms. The United States Department of Agriculture (USDA) has oversight on all human food production and therefore has oversight on many of the ingredients that go into pet food since a lot of the ingredients in pet foods are by-products of human food production, but USDA oversight only covers foods that remain within the human-grade food production line. Once foods are deemed not fit for human consumption, or are not used in human foods, they are no longer under USDA purview. That break in the chain of oversight is what likely allowed this particular contamination to happen. The tallow, or rendered animal fat, found in the dog food was not inspected by the USDA because it was not manufactured for use in human food, but pet food. Since tallow, when refined responsibly, is a safe ingredient in dog food, the FDA had nothing more to say on the matter and left it up to the pet food manufacturer to self-police and ensure that it was living up to the FDA guidelines to produce a food that was ‘safe to eat’…a self-policing step that, according to the lawsuit, was purposefully or unwittingly neglected by the pet food manufacturer. This comment is not true. Euthanized animals are absolutely not entering the human food production line legally or through legal loop holes. The USDA does a solid job at ensuring that human food produced in the U.S. is very safe to eat. If the animal carcass is used in the production of animal feed, the FDA forbids that the animal be ‘adulterated’ in any way, including containing pentobarbital. Euthanized animals probably do make their way into animal feeds, but the process by which they do so is illegal and it is up to all pet food manufacturers to responsibly vet the sources for their pet food ingredients to ensure that they are safe. Who can produce the animal feed. Unfortunately, AAFCO guidelines are just that. In order for the agency’s recommendations to have any teeth, they must be adopted into law by the state in which the pet food manufacturer is located. 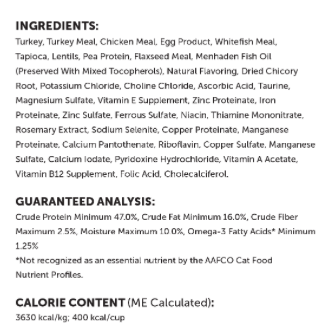 Many pet foods, including Gravy Train, place a nutritional statement on the food’s label that the food is formulated to meet the nutritional levels established by the AAFCO Dog Food Nutrient Profile for All Life Stages, but outside of any governing federal of state body interested in actively upholding the AAFCO standards, the standards are only academic. And What About Roadkill? Is it True That It Is Used In Animal Feed? There are a shocking 70K deer hit by cars every year in NY State and the amount of waste has not gone unnoticed by some passing drivers who have a taste in their mouths for low budget venison. NY is one of 27 states in the U. S. that allows citizens to apply for a permit to collect and consume road kill. So if it’s good enough for people to eat, can it be used in animal feed? Whether or not roadkill makes its way into pet food is not entirely clear (mostly because federal and state agencies do not scrutinize the manufacturing of animal food as much as they do human food), but here is what we know. In NY State, removal of road-killed deer is handled directly by the state and or by third-party, private contractors. The state puts them into landfills, but has also experimented successfully with composting the roadkill carcasses by mixing them with woodchips. The bodies are typically reduced to rich, non-odiferous soil in six months or less. The pathway that the bodies take when they are picked up by private contractors, however, is less obvious. Private contractors are paid anywhere between 30 to 80 dollars per deer carcass and according to a NY Times article, at least one of the companies, contracted in the state of New Jersey, delivered the bodies to a rendering plant in Pennsylvania where they were processed into tallow…the same ingredient that was the source of the pet poisonings cited above. So If I Stick To ‘Premium Brand’ Pet Food, I’ll be All Right? Okay…What If I Only Buy Animal Feed That is Free of Byproducts? Using byproducts safely reduces the number of animals that we slaughter per year, reduces the toll that animal husbandry takes on the environment, and keeps food costs lower for people and pets. So how am I to know what food to buy? Well, you can ask us; we’ll be happy to help. 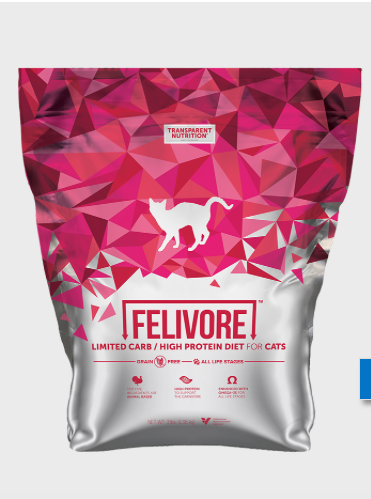 You can also try a trial bag of our Transparent Nutrition cat or dog food that we have decided to stock precisely to address the murky origins of a lot of the ingredients in pet food. Transparent Nutrition is just that: transparent. 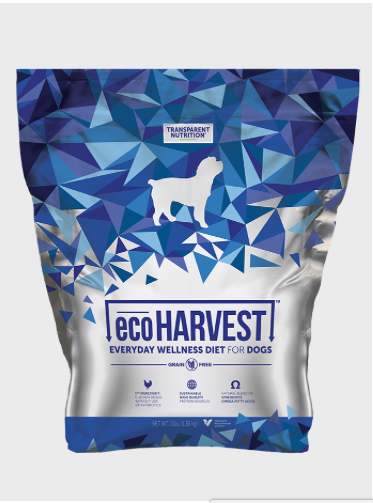 The new line of therapeutic foods is formulated by two boarded veterinary nutritionists and comes with the manufacturer’s assurance that all the products in the line are free of toxic chemicals, heavy metals, and infectious food borne pathogens. Additionally, all the products are tested by an independent third party to confirm that the ingredients are pure and safe and consumer can view the results on the company’s website. If any product fails to pass this stringent testing, it doesn’t leave the plant; it’s that simple. Buy American. This includes treats and chews. Though this advice seems to fly in the face of everything we’ve just been talking about, you’re much better off with an American produced food than you are with one that is produced in a country like China where all sorts of poor manufacturing processes take place. Steer clear of excessive preservatives: The five chemicals listed below may be okay in small amounts, but certain watchdog groups have their eyes on them as potentially bad for dogs in a daily diet. As the veterinary food expert that we consulted with when putting together this article tells us, ‘there are perfectly good all-natural preservatives that work well these days’. Perhaps we should be looking for foods that contain those! Skip the dyes: While all of the dyes in your pet’s American-produced pet food are approved by the FDA and AAFCO; they are not necessary to the health and wellbeing of your pet. Pets don’t care what color their food is (unless your pet is a bird); they just want it to taste good. 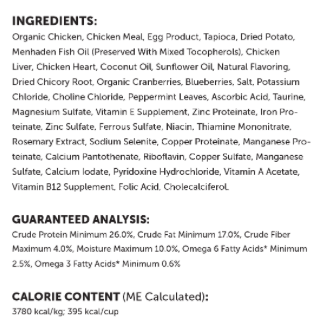 The first ingredients are not protein: Since all ingredients in pet food are listed by weight, look for foods where the first two-to-three ingredients are proteins. Also be on the lookout for pet foods that break down ingredients like rice into smaller ingredients as a way of misleading consumers into thinking that the product contains less rice than it actually does. ‘All natural’? May be ‘all hype’: There are virtually no guidelines when it comes to the language used on pet food labels. Words like ‘gourmet’, ‘premium’, and ‘home style’ are virtually meaningless and in many cases deceptive. Also, be careful when sourcing things that are ‘natural’, ‘free ranged’, ‘cage free’ and so forth. The definitions for what these mean as they pertain to human foods are blurry enough, but when it comes to pet foods, there is not a lot of aggressive oversight. Local butchers and some mid-sized companies in NY have recognized that consumers want the very best foods for their pets. Companies like The Farmer’s Dog and NYC based butcher, Dickson’s Farm Stands Meats, are using offal and byproducts from their production of human grade foods to manufacture straightforward pet diets in which all ingredients read and sound like real food. Explore the links above and find out more about their foods. One question to ask any local pet food manufacturer is if their food meets the National Research Council’s (NRC) requirements for a dog or cat. If you are committed to feeding your pet only home prepared food, then we strongly recommend visiting Balanceit.com, a website with over one billion recipes to choose from. Diets formulated for both wellness and/or a medical conditions are then mixed with a proprietary nutritional supplement (available from their website) which guarantees that the finished recipe is completely balanced and meets NRC requirements. Ask one of our staff members for more information and we will be happy to walk you through the process.